Miles Kane was more in awe of Paul Weller whilst having fish and chips with him than on stage together. 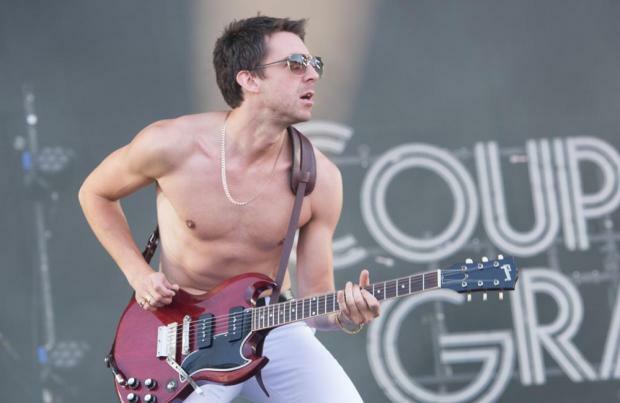 The Last Shadow Puppets star has performed with the British rock icon - who he worked with on his 2013 LP 'Don't Forget Who You Are' - several times, but it was the first time they grabbed dinner together before one of their shows that he was taken aback by being in the 'Going Underground' hitmaker's presence. In an interview with Radio X, he admitted: "It probably wasn't even being on stage that I felt: 'This is kind of amazing'. "It was when me and him went for fish and chips before a gig." Miles - who releases his new record 'Coup De Grace' on Friday (10.08.18) - says the one piece of knowledge that Weller, 60 - who is known as The Modfather - has passed onto him is to always "embrace the youth" and not get envious of younger stars. He explained: "He embraces the youth and he told me about that a few years ago. "Like if I'd be getting jealous of the new kid or whatever, he'd be like: 'Don't because embrace the youth' and it was a bit of advice that I've taken on." On 'Coup De Grace', Miles co-wrote most of the songs with Jamie T, including 'Loaded' featuring Lana Del Rey, and he described the experience as "simple" with them just jamming on the sofa. "But there was no guarantee that it would work. The minute we sat down and picked up the acoustics [guitars] it just happened. "And every day we did that. We'd right a tune. "It was as simple as just sitting on the sofa in my little apartment, or in his room in his studio ... Each day just working on a tune."